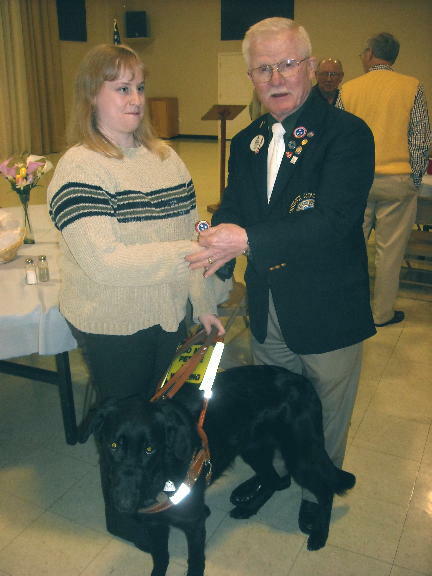 Leader Dogs for the Blind programs enhance the lives of people who are blind, visually impaired and Deaf-blind. Various programs are offered at the Rochester Hills, Michigan campus where students live during their training. All programs are offered free of charge to the recipient with Leader Dog paying for travel expenses within North America and room and board. To learn about the fundamental role that Lions have played with Leader Dogs, read here. If you are an area resident interested in obtaining a Leader Dog, we would be happy to help you. Email us.